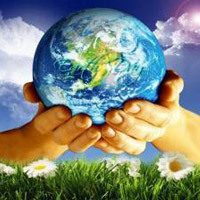 It’s Earth Week, and this is a time for people to take stock with regards to their impact on the environment. The vast majority of people in the United States live in cities, and for generations that has led to the belief that there is little if anything that can be done in terms of adding some agricultural aspects to homes, apartments or condominiums. However, recent years have seen the rise of a strategy that is not only extremely friendly to the planet, but one that provides many other benefits to those who make the effort – growing and managing an urban garden. Urban gardens are popping up all over the United States, and people in San Diego enjoy enormous advantages when compared to the rest of the country because of climate. A garden can be grown successfully all year, unlike other places where the growing season may only be a few months in duration. That only makes it that much easier to put an urban garden in place and to begin enjoying your own organic food. All it takes is a little help from experienced San Diego landscaping professionals who have built them many times in the past. There are many benefits that can be enjoyed by someone who has an urban garden, and the most obvious is the opportunity to grow fruits, vegetables and herbs and spices that are completely organic. If you’ve ever tasted any of these foods that were grown without pesticides and without the use of chemicals to prolong their freshness, you understand that it’s like eating something completely unfamiliar and overwhelmingly delightful. Another advantage to an urban garden aside from the climate in San Diego is that for people who place them on patios in apartment buildings or condominiums, there will be very little risk of having them invaded by animals that can get into gardens placed in a yard without the proper protection. Rabbits, raccoons and other creatures generally do not find their way onto patios in these settings, particularly on those that are well off the ground and on higher floors. Finally, urban gardens present an opportunity for people to reduce their impacts on the environment overall. The more people make use of urban gardens, the lower the demand for mass-produced produce will become, and if enough people take to this strategy then it’s probable that potentially harmful substances such as massive quantities of fertilizer on enormous farming fields will not be used as often. This will benefit everyone who is interested in healthier air, water and soil. Setting up an urban garden is actually quite simple. All you need is the help of professionals who can build you the garden box and provide you with all of the irrigation supplies and rich organic soil that you’ll need. If you work with Juniper Landscape Company, one of our team members can also help you decide where to place it and how to manage it in the future. Add nutrition to your diet and do the planet a favor – contact Juniper Landscape Company today to find out more about urban gardens.